Our expert staff specialized in both IP laws and specific technologies provide quality professional services to our clients. We provide a full range of services for trademarks, including pre-filing searches relative to registrability as well as against potential conflicts, and filing of applications with Japan Patent Office (JPO). We represent our clients before JPO to file applications for patents, utility models, designs and trademarks. 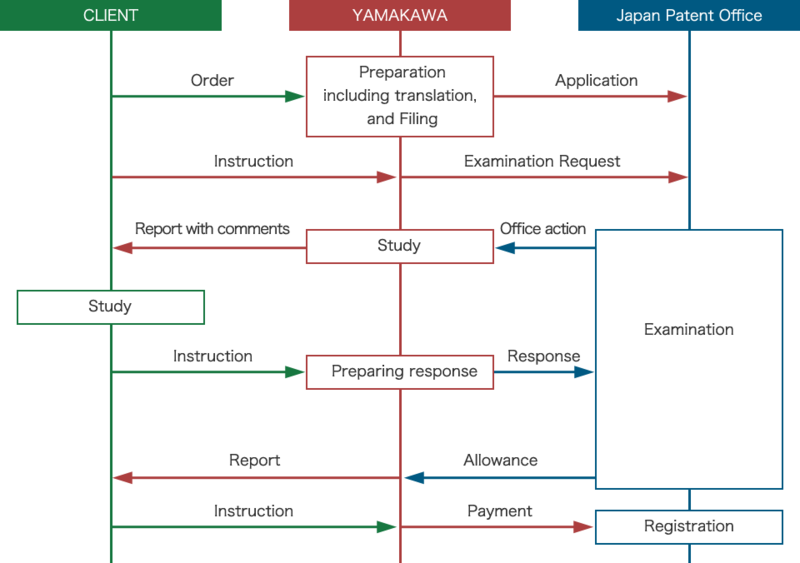 Each Japanese specification and a set of claims as translated from a foreign language are checked by our experienced patent attorneys before filing for possible adjustment to improve their linguistic quality. Prosecuting the applications In the course of prosecution, when an Office Action is received, we study the Action and any reference(s) cited and prepare for the client’s review our comments and proposed amendment toward best overcoming the Office Action. Then, in the event that it becomes required, we can make preparations for a JPO trial, or can, even further, deal with post-grant, aggressive or defensive proceedings before JPO on behalf of our client. An applicant may take action against JPO’s trial decision. We take care of litigation against a trial decision before Intellectual Property High Court, Japan. We also help our clients exercise their IP rights or defend themselves in IP lawsuits, involving technical as well as legal issues. Having relations with experienced lawyers, we can collaborate with them, if necessary, for our clients' sake. We carry out prior art searches / trademark searches on request. As regards prior art, any relevant Japanese documents found through searches are scrutinized in consideration of the validity of the patents of the clients’ interest. With regards to trademarks, we conduct pre-filing searches for registrability as well as against potential conflicts.